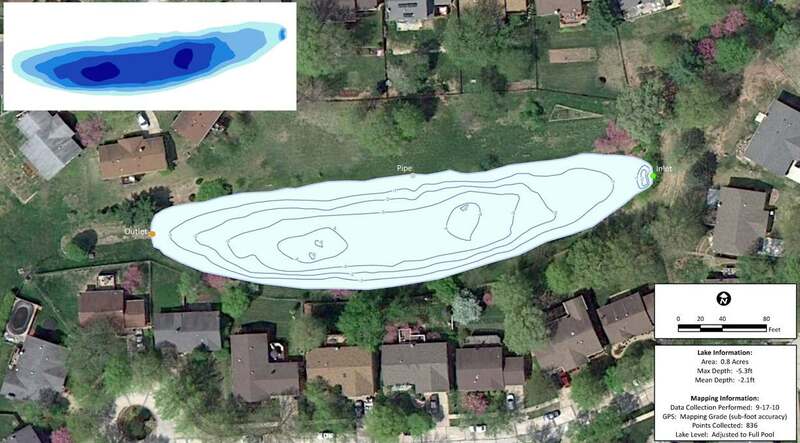 Jim Darlington, President of Leisure Ponds, mapped a small pond in the St. Louis area for a residential Home Owners Association. The pond surveyed was approximately 0.8 acres and had shown warning signs of significant sedimentation. GPS Lake mapping was conducted on site to reveal the true lake depths of the ponds. In addition to the bathymetric survey, sedimentation depths were collected and a model of sedimentation levels was created to estimate the volume of sludge in the lake. During the mapping process, the HOA found out that the middle of the lake had roughly 6 to 7 feet of sedimentation accumulation. This information provided the baseline depth profile needed for long-term sedimentation monitoring and dredging plans. 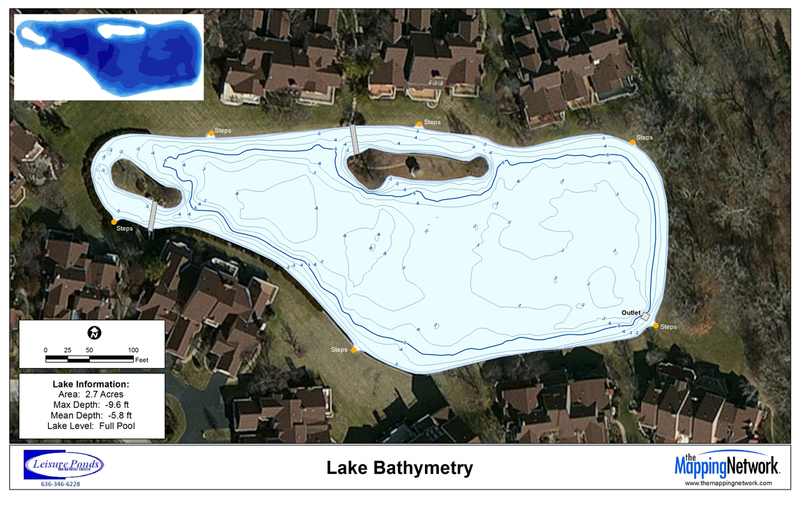 The mapping techniques utilized in this project allows Leisure Ponds to accurately isolate areas of high sedimentation for removal and help lake managers budget accordingly. This entry was posted in Lake Map and tagged Bathymetric Map, Dredging, GPS, GPS Lake, GPS Map, lake, Lake Management, Lake Map, Lake Mapping, Lake Survey, Leisure Ponds, Missouri Lake Map, Sediment, St Louis Lake Map, St. Louis Dredging, St. Louis Lake, St. Louis Map, The Mapping Network on September 22, 2010 by Moderator.